Choosing an accounting software is probably the biggest and the most important decisions you will ever make. An accounting software keeps tabs on your financial information including sales, tax, invoices, vendors, customer information and inventory. Your accountant always requires financial reporting and one of these listed best accounting software can provide them with the essential data. You may not need every function of a full-fledged accounting software, so you have options to choose and to customize the listed accounting software according to your needs and your wants. So, if you are a small business or an entrepreneur or a growing organization, we’ve reviewed each of the top accounting software to help you find the best according to your necessities. In our reviews, you will find cloud-based systems that run on a monthly basis and few of them requires yearly software purchase. For small businesses, it’s easier to accommodate online accounting systems, and nowadays many organizations prefer using them due to several advantages that include low-cost start, everywhere access, supported upgrades and online backups. But if you are looking for network-based or an offline software ready to use on your computer then you can have it as well. Sage and QuickBooks provide good offline versions with all those offline capabilities that you may require. Check our reviews on accounting software for further reading and learning. So, let’s dive into our top recommendations, their short reviews with links to a longer version of reviews and features. Intuit’s QuickBooks is another gem for businesses. Over 140k accountants everyday use QuickBooks, as they manage their client’s taxes and books. QuickBooks also has a very active community that consists of users that are using this best accounting solution. It means you can interact with other business owners. If you have heard of TurboTax and Mint, then those two biggies are also made by the same company as QuickBooks. Its major feature is its automated tasks completion. This in turns makes the accounting process consume less amount of time along with less stress for various business owners. It can automate bill payments, recurring invoices to sync it to the data across your bank transactions and credit card. You can also prepare a variety of reports from its own wide collection of report templates. If you need a custom accounting solution for your small business, then Zoho is a software that can be considered the best. It makes your bookkeeping quick and easy. With plenty of additional apps, you can easily make your business grow with Zoho as it has all kind of services a business would look for. The trust factor of Zoho is also pretty high. We recommend you to take their free trial and use them to the utmost value, before finally buying it. NetSuite is another popular account software and system that is basically for enterprise solutions or large organization. It has a large number of tools for all kind of accounting needs ranging from CRM, ERP, eCommerce, PSA (Professional services automation) options. It provides real-time data analysis along with various insights to make financial decision process easy and simple. With its real-time dashboards with analytics, you can strategize your business. It also provides data backups and also takes care of various security concerns related to any small business. With extremely great customer service and support, FreshBooks is one of the best software for business accounting that can handle all your accounting needs. Be it creating professional invoices, time-tracking system or hassle-free expenses, you have everything here with proper management and some really innovative features that other software lacks. A simple to use software that has been around for over 30 years. Small businesses, contract works, and even freelancers use it. It has all the elements for the best accounting software for small business with tons of tools that support any size of business. It actually grows with your business have several features that many different types of businesses are using. Its beautiful interface along with the mobile app, you can easily do the accounting tasks right on your hands. It has great accounting and business functions which are sufficient enough to track, send and also create invoices. You can save these invoices them as PDF. By using its various features, of saving the client’s information save a lot of time. Its project management and other collaboration tools are a nice addition to this software. These tools assist you in assigning work to various members and can track feedbacks from clients, sending messages and other important tasks. Wave is a free accounting solution which is again pretty familiar, you have the unlimited option for invoicing and can add few paid services like credit card processing, payroll system, and other advanced support options. Wave is a perfect solution if you have less than nine employees and if you do freelance or contract work. This software comes with a dashboard which offers an overview of your account’s current status. You can’t manually mark various estimates which are approved by you but can convert them into various invoices. Its invoicing feature provides the ability to copy invoices along with sending reminders regarding the invoices which are due. You can easily filter and sort invoices according to their status, paid, overdue and sent. You can also scan and upload various receipts or can email them directly to this software. With inDinero small businesses can survive and they also allow you to file corporate taxes with their accounting software. With a flat monthly fee system that varies according to your needs, InDinero has been in business since 2009. Many small businesses are using it and are comfortable with it. A highly recommended accounting software for businesses that are getting of the hooks. As this software is cloud-based and it offers a simple solution with some effective mobile apps you will be on your tracks with all kind of processes on the go. You also get to see weekly webinars as a support feature and it provides that ample accounting functions that can fulfil your needs while starting up. Use the link above to see the full review of Kashoo. Intacct has more than 11k clients, and they manage all kind of financials for them. This accounting tool has been in the business, and they advertise themselves to lead companies to IPOs. Surely a top class accounting software for all kind of business types. A small business that is looking for a suitable accounting solution on their mobile devices can opt for One Up as it was created on mobiles first. It’s basically for people who are formally trained in accounting and entrepreneurs, and small business owners can easily use it. You can track your bills, manage invoices and inventory for basic needs. All of this above accounting software are Non-U.S based, but you can change your currency and include VAT as per your countries norms. A cross-platform option which offers free account solution like Wave. You have the addon options which are paid like custom invoicing, quotes and estimates, recurring invoices and much more. Billy also has its API, which can be accessed for adding integrations, and it will cost you a very nominal monthly fee. With so much to try and so much to explore we understand that time is money for you, and we will be regularly adding reviews of each and the best accounting systems in the industry. So, that you can spend time on developing your business and less time managing accounting needs. Do check our reviews of all the listed accounting software and I am sure you will find your perfect accounting partner online. Freshbooks are the best one among all. thank you nice a post. This is great post !!! Thank you. Thanks to you for sharing this valuable article. 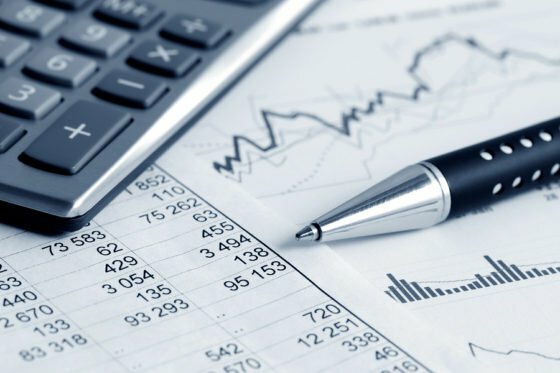 I am looking for the best software for accounting, this article really helps me to know About it. Actually, My friend recommended to use ZOHO and you are listed the same name on your article. Thanks to you. Your Post is excellent now I knew that. It help me to identify a finance software. Your work was very impressive; and the list you have provide us is really good softwares, I appreciate the research part of it which made your article very rich and understandable. Overall you have done a great work. This was a nice post. It can help many people. But you can also use website to help for accounting and investing tips. I am sharing URL to get some tips if someone interested. Thanks for the article! We use QBO but for data input we use also IQBoxy, as it is the fastest in receipt scanning and processing! My brother is a student of accounting (MBA) and he would be much obliged to see this article. you got it all in one place. Thanks for the share! Appreciate the effort. Thanks for sharing awesome list of tools which you added above. If you choose right tools, It will be definitely helpful for SMEs for managing their work. I would like to recommend hostbooks.com – an automated all-in-one accounting & compliance software provides you with a comprehensive platform for GST, TDS, Accounting, Tax & Payroll.